Solid ink technology is still relatively new to the printing industry, but is growing in popularity because these printers allow you to reduce waste and produce flawless color on standard paper. 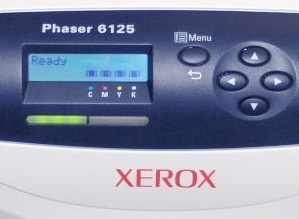 Xerox is currently the only manufacturer that produces this type of device, and they are not cheap. In the interest of getting the most life out of your solid ink printer, here are some maintenance tips. The Xerox solid ink used by these printers is melted to a liquid form to be applied to the page. This process may require an elongated warm-up time, especially when the machine has been sitting idle for a while. Your manual should have an estimated warm-up time for your device and the LED indicators or the control panel will tell you when the printer is ready. At the end of the day when all the daily printing tasks are complete and the printer is turned off, the ink slowly cools and hardens. It is especially essential that the machine has completely cooled before attempting to move a solid ink printer. If you move it while the solid ink is still in its melted, liquid state, the ink could spill and cause damage inside the unit. Additionally, it could spill out of the printer and burn the person who is moving it. 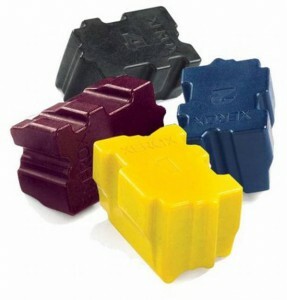 Always keep solid ink in its packaging until it is ready to be installed and store it away from extreme heat or cold. When you are ready to install the solid ink, make sure the notches align with the slot you are inserting them into. There are colors and numbers marking the sticks and the slots, as well as specific shapes to each, so be sure to match them correctly. If you find yourself having to force the ink into a slot, chances are it is the wrong stick. Jamming the wrong ink stick into a slot could cause damage to the machine and poor quality prints. Your solid ink printer has a waste tray to catch excess ink and this must be emptied when the control panel alerts you that it is full. If you do not empty the tray when it is full, the printer will stop working. Consult your manual or head to the Xerox site for a walk-through of how to empty the waste tray. Keep in mind that solid ink is not toxic like some toner, so the tray can simply be dumped into the trash can. 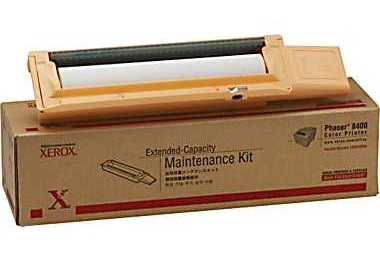 Unlike maintenance kits for laser printers that include multiple printer components, Xerox maintenance kits for solid ink printers consist of a single roller. Over time, solid ink residue will begin to build up on the drum, which can cause quality issues. An error message should appear on the control panel when a new maintenance kit is needed. The roller is covered in silicone oil, which lubricates and cleans the drum. These tips will not only keep your solid ink printer running for many years, but also producing top quality documents. These are simple tasks that just about anyone can perform, but if you run into any issues, contact Xerox for assistance.